So you have finished your book, your beta readers have had their say and you’ve paid to have it edited. Now what? Well, the easiest place to start is to e-publish, not that print publishing is hard, but e-publishing is even easier. It only requires two things: 1. A front cover that is at least 1600 pixels wide by 2500 pixels tall. This will fit the requirements of kdp.amazon.com and smashwords.com (two of the sites I recommend you publish on, though there are others). 2. A properly formatted book. Item two is what I am going to focus on today. There are two ways to upload your book on both Amazon and Smashwords: A formatted word doc or a mobi doc. I’ve done both and I’m not sure which is easier. I think perhaps creating the mobi file is a touch easier, but both require a bit of work on your part. Lets start with the word doc option. For this option the best way to get it right is to follow Mark Coker’s formatting guide that he created for his Smashwords clientele. It’s free and if you follow that guide, your word doc will easily upload to Smashwords and Amazon. Sounds easy, but it does take a bit of time to do all the recommended steps. I am aware of two programs that allow you to create a fairly quick mobi or epub file: Jutoh and Scrivener. Mobi is used for kindle and epubs are used for everyone else (nook, kobo, ipad or any other android reader). I have viewed a webinar for Scrivener and it looks like a fine program – has a few more bells and whistles and probably works better for non-fiction authors since it’s a lot easier to move chapters around and you can load websites very easily. But I purchased Jutoh and have been happy with the results. Both programs cost approximately $40, by the way. Very reasonable! Jutoh: Jutoh is pretty easy to use. There is a small learning curve (as their would be with Scrivener) and Jutoh has a very good user’s guide/help section to the program if you need it. The nice thing about both of these programs is that you can upload you book and create the links to each chapter without all the putzing needed when working with a word doc. You can also easily put in hyperlinks to your book’s website or sites to buy your other books – if you have more than one. **Be aware that Amazon and Smashwords don’t accept documents that have links to other people’s websites, so don’t put them in. They will make you take them out. One other caution for Jutoh specifically – I recommend you use Jutoh’s styles when formatting your book (centering, special formatting), it will look better in the end product. One time-saver for you is if you put in page breaks in the word doc that you download to Jutoh, it will automatically make these the chapters breaks. You can do it within the program, but doing it in word first will save you time. Just pick the “chapters by page break” option when setting it up in Jutoh. Once it’s uploaded and formatted the way you want (remember no fonts bigger than 16 point or unusual fonts – ereaders aren’t sophisticated enough to handle these things) you pick the format you want. As mentioned, for kdp.amazon you want the mobi format. Smashwords will also accept mobi files, so you might as well start there. When you’ve selected mobi you hit “compile” and the program will create a folder in your computer’s “document” file titled “Jutoh Documents.” It will put the mobi and Jutoh file there. The nice thing about Jutoh is that if you hit the “error” tab at the bottom of the Jutoh screen, it will show you all the mistakes you make and tell you what the error is. If you click on a error message, it will take you to that error in your document. How cool is that! 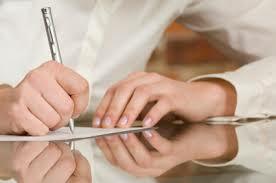 The next step is to check the document. 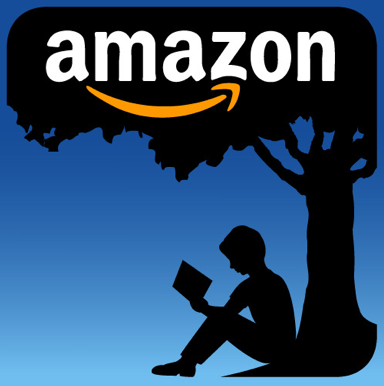 For kindle, download the free kindle reading app for PC or Mac. Look through the whole document for formatting issues and make sure the chapter and web links work. I always create a epub file because not everyone has a kindle and when giving away free copies of the book, it’s nice to have that option. Obviously, ebooks are a lot cheaper to give away than paper books. To create a epub file, pick the epub option then compile again. 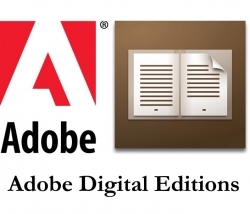 Correct any errors, then download Adobe’s Digital Editions. Digital Editions reads epubs. This link will give you the program for either PC or Mac formats. Now it’s time to visit Smashwords and kdp.amazon and set up your accounts. Both sites make it very easy to upload your cover and interior files. Then let everyone know it’s there! If you have any trouble with this process, don’t hesitate to contact me. This entry was posted on March 5, 2015, in publishing and tagged amazon, ebook formatting, ebook publishing, formatting, jutoh, scrivener, smashwords. Robert Morris lists some helpful tools for writers, authors and bloggers. I have tried Evernote but haven’t found it that helpful for my uses. My daughter (who’s 18) loves it! I use Hootsuite and think it is helpful and user friendly. The Elements of Style book Robert mentions is pretty basic. It is a fast read and gives you good information, but I think there are a lot better writing style books and websites out there. This one has just been around forever. Scrivener is a helpful tool for writers and so is Jutoh. I use Jutoh. Both are important for authors wanting to convert word text to mobi or epub formats. Killer writing tools that will help you get the job done – BookBaby Blog. 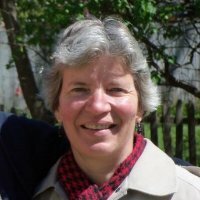 This entry was posted on August 20, 2014, in writing and tagged evernote, hootsuite, jutoh, robert morris, scrivener, writers tools.